Do we need an Ace, do we need Harper, Machado? Bear with me now - I am about to go off the baseball rails here. I read all the speculation, all the projections of player salaries and all the moaning from our team and fans and the rest of the teams and their fans so I am going to say something no one wants to hear. We do not need an Ace, we do not need a superstar! There it has been said. The follow up to that is - and I want us to win the series! Okay, now for my reasons. Lets start with the easiest - the Ace. The Ace in the 1800s pitched much more than any current pitcher. Old Hoss Radbourne won more games - 59 than any pitcher starts in a season. He was the triple crown of pitching leader - 1.38 earned run average, 59 wins and 441 strikeouts. I know we are all about strikeouts now - look at that total. And he pitched 12 years! Okay that was an Ace that made a real difference. 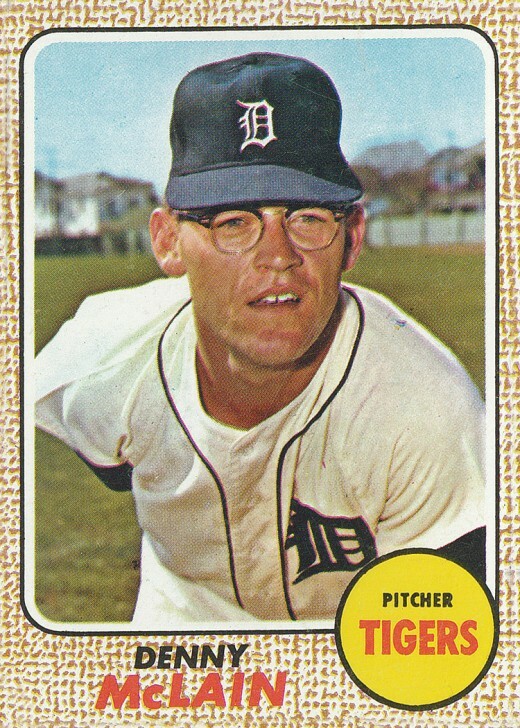 Then we got to the 30 win era where this was the standard that really set out the ACE - Denny McClain in 1968 was the last to win 30. There were 21 thirty game win seasons with most in the early 1900s. And they still had arms on their bodies the next year. These thirteen pitchers were also Aces of course Denny took to Aces in the gambling dens and ruined his career. Then came the twenty game winners - with Warren Spahn winning 20 - 13 different years during his career - despite losing years to serving in the war. His last 20 game year came in my high school graduation year - 1963. He and the other 20 game regulars were Aces. On this list of twenty game winners is Nolan Ryan - yes he also lost a lot, but he was the real leader into the strikeout era and he also was a complete game pitcher. Then we went to five man rotations and now to openers (the shame) and the argument that wins don't matter. The above pitchers also completed games - Cy Young completed 749 games - yes he won and lost games. And he earned his wins just like the other Aces above. Now, the Ace not only pitches one of five games, but only 6 - 7 innings in most outings. I see Kershaw get $35m a year and think - why? He cannot even move them forward in the off season and his speed is diminishing. Sign two number twos and three number threes and we will be better off than signing a one, running out of money and ending up with most games being toss ups or worse. Of course you can also make that a different combinations of 2s,3s,and 4s, but don't break the bank on the ACE. Then there is the Bryce Harper/Manny Machado madness. Who in the world is worth the kind of money they are talking about. Living in MN I have heard for years about how the Mauer contract impacted the team ability to sign other players (I know it was an excuse, a joke, not real), but 300 - 400m is not a joke. Look at Mike Trout - the greatest player of our current era. By himself he cannot lead them to a championship season. Nor has Machado or Harper shown that they can either. Each player is up to bat 3 - 5 times a game - that is all and if no one is on base they cannot drive them in. If they swing for the fences and have a crap average like Harper or Sano or Morrison did last year you get 30 HRs - which if they are spread out give you 30 games of production and 132 of small or no production. In the field only the catcher and first baseman are involved in the majority of fielding plays, so even in the field there is limited production most of the time. Since WAR is such a popular figure think about the numbers the best players puts up. No one is worth 80 or 90 WAR, the great ones are 10 and there are few is any each season. This individual game is still a team game and if the team does not pitch, field, hit, the team does not win and wins are what we want. Look at the Angels other player - HOF to be - Pujols. Tell me his worth to the team, tell me how that contract impacts the team. No - sign a lot of good players, good fielders, good on base average, good production people, steal some bases, be fast and be involved. It is the team with production 1 - 9, rotation 1 - 5, even slightly above average at all positions that wins. Not the team with the biggest star. Perfect! Absolutely agree 100%! Every sport is a team game. Whether basketball, football, etc, or baseball, it's a team game. In most sports, you can make substitutions. In baseball, when you are out of the game, you are out of the game. Your Trout example is a good one. He can absolutely make an impact and be a difference maker. But with no protection, nobody on base, and a pitching staff who can't limit the other team, how much impact can one man make? The Twins need the deepest, most balanced team they can field. I would love an ACE, but he's no good if the other 4 SP behind him are mediocre to poor. Or the pen blows games all the time. Or the offense, and 1 or 2 big bats aren't supported. Left, right, power, speed, etc, give me a balanced team that can do a bit of everything, with a pitching staff that gives me a chance every day, and I'll show you a winning team that can contend. Signing twos, threes and less was a Terry Ryan thing. Who knew he was ahead of his time? I like this even if there is a hint of sarcasm.Terry Ryan, at the end of his reign needed to be replaced, but that does not mean he was not smart and did some very good things for the organization. the issue here is less the strategy and more the execution. Ryan and his staff were no longer able to be better than their peers at identifying, acquiring and developing better players. And so, if the Twins should not acquire super star or ace and have thus far been unable to develop one, they find themselves back in the early aughts era of Twins teams. A team that's good enough to win a mediocre division but get booted by the Yankees in the first series of the post season every year. building a well balanced team is only the start and one that should be the aspiration for 2019. It should not be the ultimate goal for 2020, 2021 and beyond. → Do we need an Ace, do we need Harper, Machado?